Before going to discuss both niche blogging, one needs to know that what niche blogging is. Niche blogging refers to when one decides to write a blog on a single or specific topic rather than focusing on different topics. For example, digital marketing is a niche topic for the blog but if we talk about marketing then it might consist of different types of marketing such as offline marketing, online marketing, social media marketing etc. How is Multiniche Blogging better? Multiniche blogging means when a blog is written on different topics under the main niche topic. It proves to be helpful for the fresher bloggers. It provides a golden opportunity for them to explore to a greater extent in the blogging world which is less possible in the case of single niche blogging. #1 CONTENT AVAILABILITY: The essence of the blogging is its content. The content should be rich in quality and sufficient. Therefore, in the multiniche marketing, content is easily available as there are various topics to be written. Finding and creating content for a multiniche blogging is not a difficult job. #2 WIDE TRAFFIC ON SOCIAL MEDIA: Social media is becoming one of the most important places for expanding the reach and traffic for the blog. Therefore, if the right usage of social media will be done, then you can engage massive traffic on your blog. In single niche blogging, it is comparatively difficult to gather wide traffic easily. #3 HIGHER PROFITABILITY: This is very obvious that if you are able to attract a great number of people on your blog, then your revenue will automatically increase and you can earn more and more. Therefore, multiniche blogging is profitable for a beginner than single niche blogging. #1 REQUIREMENT OF GROUP WORKERS: Doing multiniche marketing for a single person is really tough. One needs a group of professionals to work on a multiniche blogging. 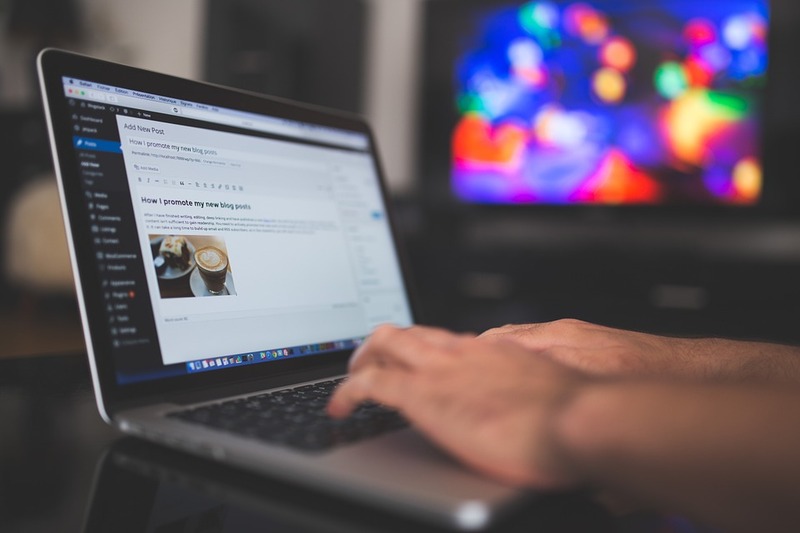 One person cannot work on multiple blogs at a single time, therefore, number of people might be needed to work on a blog and it might lead to higher cost incarnation. #2 HIGHER COST: More funds will be needed for a multiniche blogging. For hiring a lot of professions, payment is made to them which require more money. Moreover, the initial investment is also to be made before creating a blog. How is Single Niche Blogging better? Single niche blogging refers to when the blog is to be written on a single topic and there are no further more topics. Less time and effort is needed in single niche blogging but the opportunities are also less in the latter one. #1 NO REQUIREMENT OF GROUP MEMBERS: Single niche blog can be managed by an individual or maximum two people. One can begin with single niche and then can expand it into multiniche for more profit. #2 LOWER COST: Single niche blog requires very less cost; that means single niche blog can be started with a low budget. The server is also not expensive in case of a single niche blog. #3 SEO OPTIMISATION IS EASY: As comparative to multiniche blog, SEO for single niche blog is easy. #1 MORE RESEARCH IS REQUIRED: Under single niche marketing, there is only a single topic on which blog is to be written. Therefore, content is not much available and deep search for the blog is required which demands a lot of time and effort. #2 LESS SOCIAL MEDIA TRAFFIC: In single niche marketing, attracting a wider traffic is comparatively difficult. Bloggers need to depend on social media engines for gathering more traffic on the blog. so, the question was what to choose among both? It depends on the resources you have. For example, if you will be able to incur a high operating cost, then you may go for a multiniche blog or if you are really dedicated for your blog, then you can work on your single niche blog. Hello everyone, it’s my first pay a visit at this site, and post is truly fruitful in support of me, keep up posting these articles.